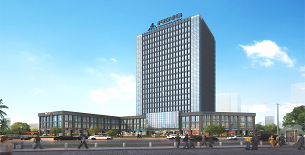 ﻿ Hangzhou Jufeng Technology Co. Ltd. Since its establishment in 2008, JF TECH focus on R&D and provides a powerful global solution of CCTV. With products, sales, service all provided, JF TECH is considered a strong partner in many fields, such as Intelligent-transportation, Safe city, Mobile surveillance, community surveillance, Internet of things,etc. Based on its performances and trust of customers, JF TECH grows up and launched its own brand with full range of products, strong marketing investment and professional support service. That means a higher starting point for further progress. 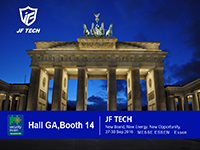 Come to visit JF TECH during the ESSEN show at Hall GA, Booth 14, we’d like to share with you new energy and new opportunities. 下一篇："JFTECH & GDPR" 上一篇："First show of All-in-One technology on International arena – Generally popular"